On this page you can find my customized “things” for Pirates CSG. 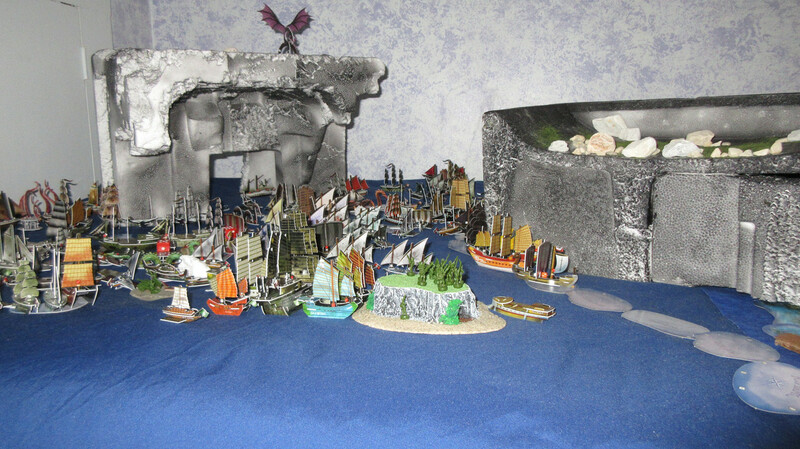 This includes my custom game pieces, my Basic Rules, and custom islands, terrain, and structures I’ve made. This is my attempt to combine the Start Here rules and Complete Game rules into one document, while simultaneously changing a few things that I believe are the best house rules, and also keeping the overall document relatively short by saving space where practical. These are the basic rules that I intend to teach new players with. I talk about some of the changes in the video below. 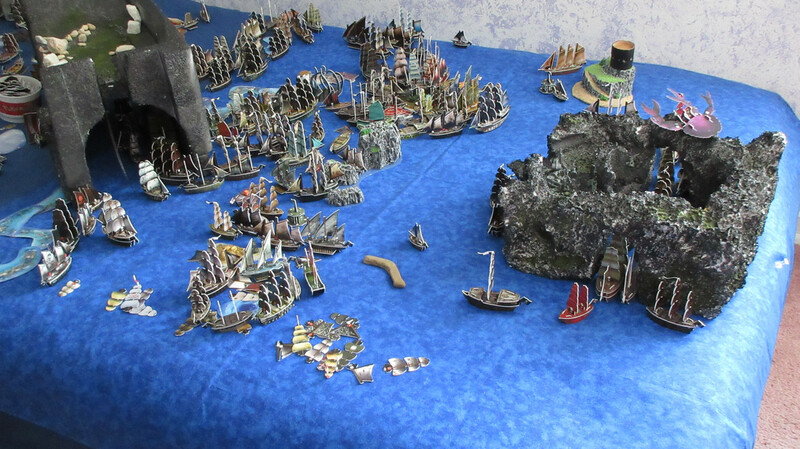 –Pirates of the Age of Sail (PotAoS, or AoS) is my first custom set, which I started in 2011. I have since been modifying and adding to it. 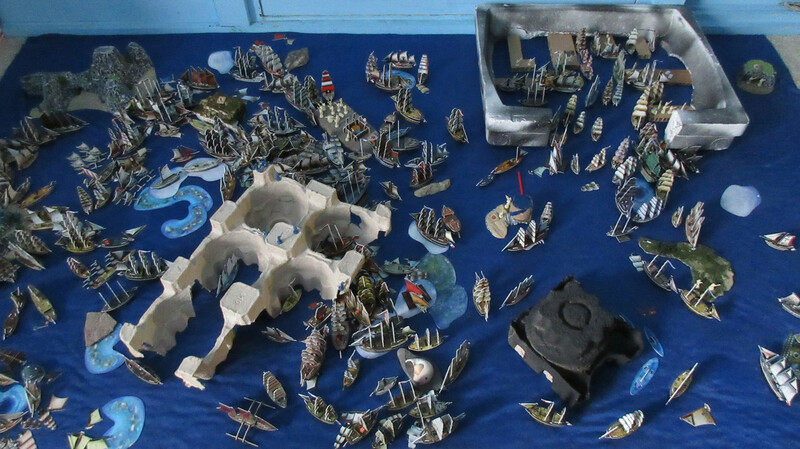 The set is entirely historical in nature, encompassing a huge number of ships, historical figures (as crew), forts, and equipment from the real Age of Sail. My plan is to create one historical custom every day to make progress on the set. 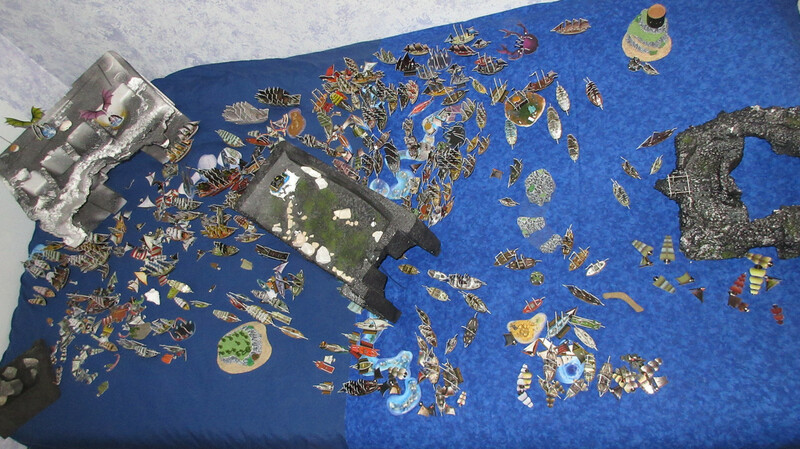 The total number of game pieces is therefore only limited to the amount of historical knowledge that is available on the topic and can be discovered. The current Custom Ships thread has my daily “releases”. This set is constantly undergoing changes and additions, and due to the sheer number of game pieces still to add, it may never be “complete”. Any suggestions are welcome. You can find the set on the 1st sheet, with custom crew links and keyword abbreviations on the 2nd and 3rd sheets. 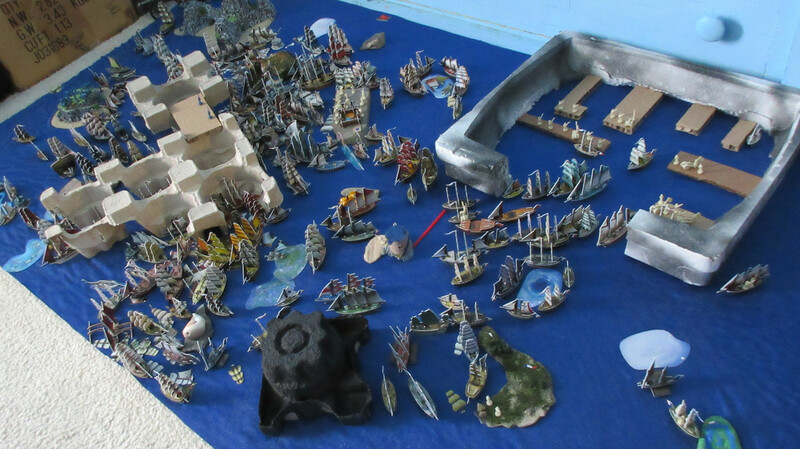 –Pirates of the Epic Seas (PotES or ES) is my second custom set, which I started in 2018. 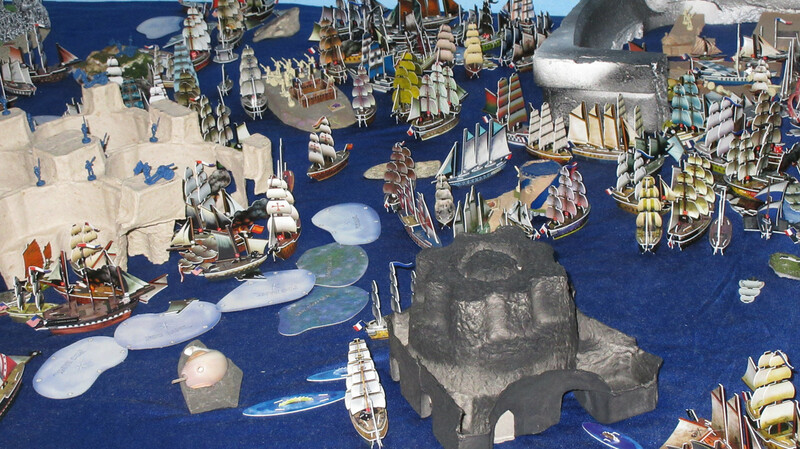 It is the complete opposite of the Age of Sail set, containing only fictional game pieces. 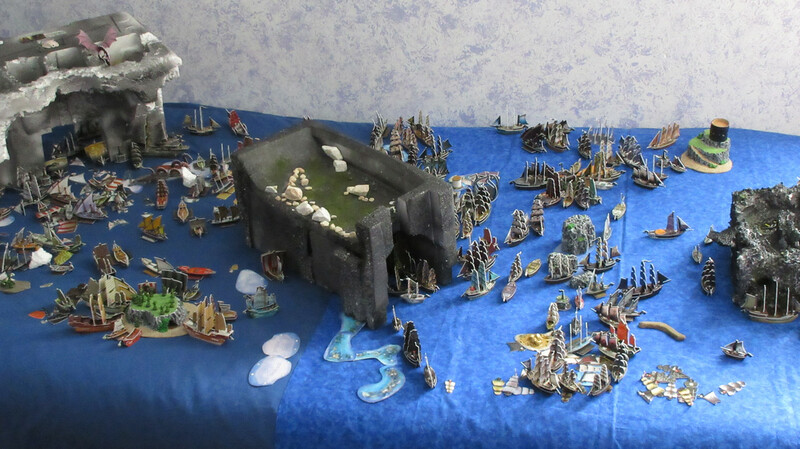 The set is based on “epic” things and a general theme of global war, or at least the grand threat of it. 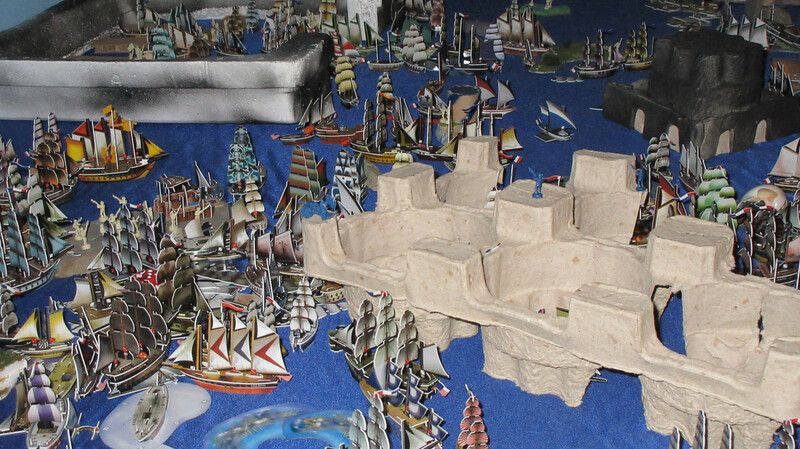 Just like Age of Sail, the set is currently “under construction” with a ton of additions coming in the future. You can find the set on the 4th sheet, with keyword abbreviations on the 3rd sheet. Normally I would leave out the structures part, but I’ve found myself building an increasing amount of man-made things that cannot be classified as islands or terrain. 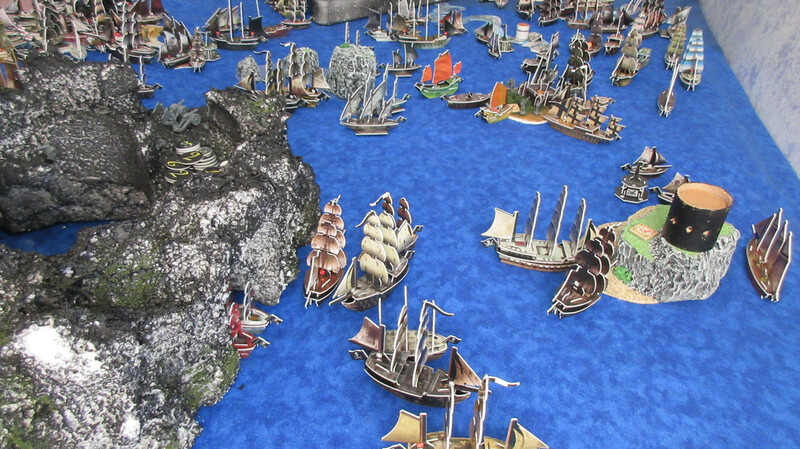 Also, feel to reach out to Ross in AZ; many of the islands you see in my battle reports were made by him! Some pictures showing more than one of my creations at a time. 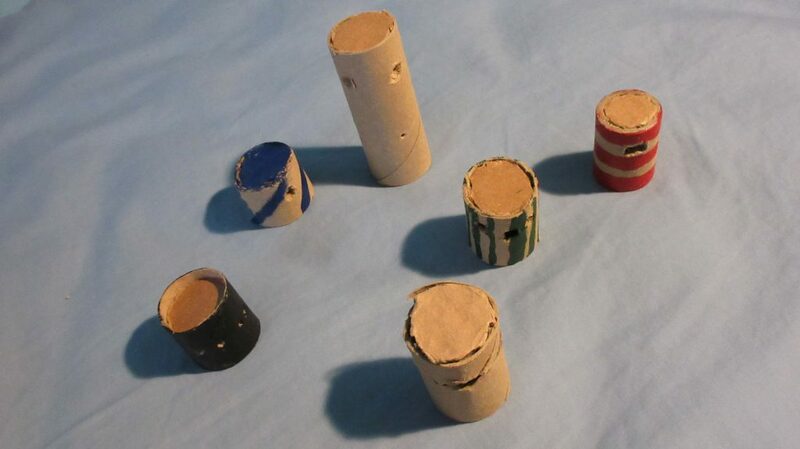 These really show how large and dominant the pieces are, and how fun and “commanding” they are during gameplay. Some of my older stuff made in 2015! 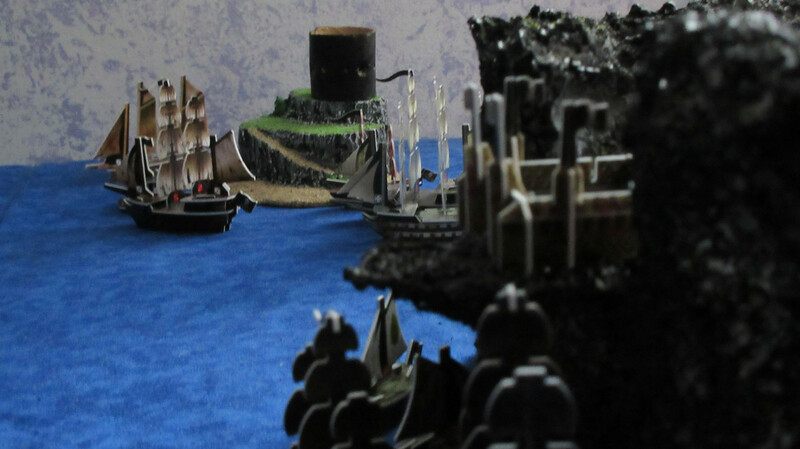 Some of the islands and terrain I’ve made. The arches are quite fun. In the middle is a large sandbar. White foam looks perfect for icebergs. Custom shipwrecks (often on reefs) can make the game look really neat. The Duke shipwreck. I put a few drops of metallic gold paint down the center of the hull to create the spilled gold effect. 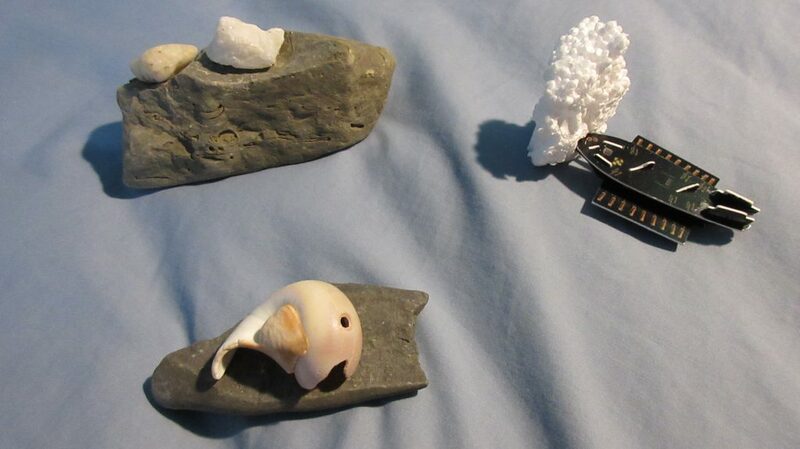 My version of “shipwreck cove”, inspired by Pirates of the Caribbean and created with lots of glue, reefs, and shipwrecks. A busy Franco-Spanish military port atop one of my custom islands during Economy Edition. 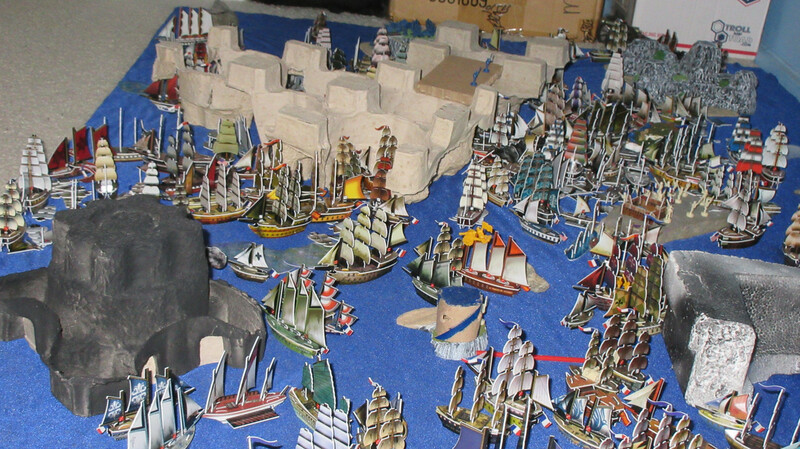 The Lagoon, which was used for the Economy Edition game. This is a fun concept, especially if you only make it accessible to submersibles (submarines and sea monsters). The Arch. This is a triple archway with 3 different levels for clearance height. The highest arch is passable by almost all ships, while the smaller two can only be traversed by ships with lower mast height. The low are was a perfect spot for gold. This was created with two chunks of styrofoam from a keyboard box, spraypainted black, which were glued together at an angle (you can still see the remains of some glue on top of the right archway). This gives an idea of the main middle archway, as well as the height of the entire arch. 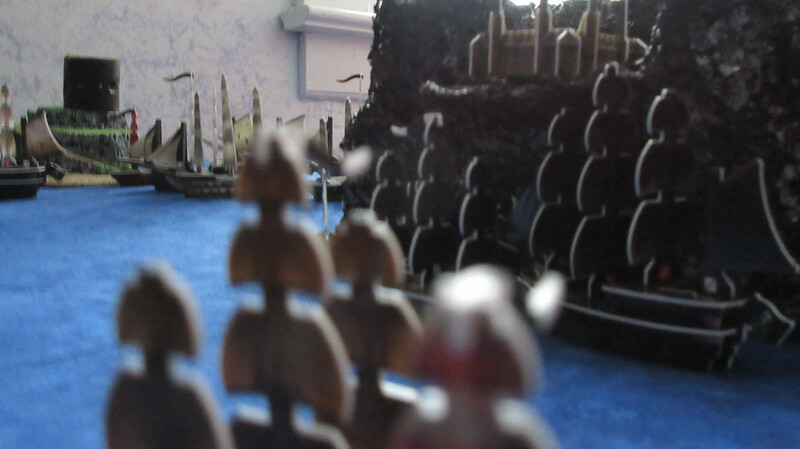 As you can see, it’s also the perfect spot for a well-positioned fort! Another look at the first arch. I’ve made about 5 of them, but the first one is generally still my favorite. You could probably add physical Bow Chasers with a variety of different pieces; here I’ve used spare Bombardier cannons and attached them to the bow of a ship. @Nick: Thanks a lot! If you’d like to see more, check out some of my biggest games, which can have some pretty cool stories. 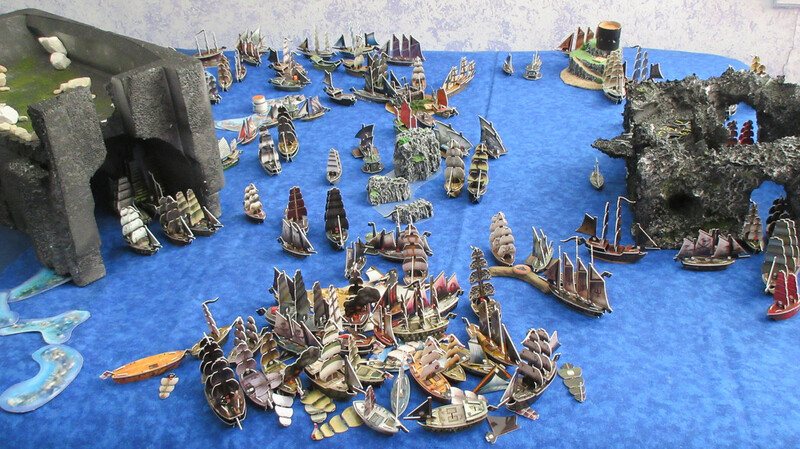 The amount of ships in your collection is mind-boggling and of course, quite impressive. Pretty awesome! I like to color the edges of my ships to try and match the color scheme, sometimes it works out nice. Wish there was a way I could post an example… ah well, not important but what you have going on here is, and again, too awesome. @El Tiburón: Thanks! It’s taken me a long time to build up my collection. I’m not a fan of edging the ships, as I think they look fine as-is. However, I do understand the appeal of matching the hull and decks at least. I totally know what you mean, since I’ve got some American ships I bought from another person a while back that look to be edged in sharpie. You can also post examples in the forum of course.